The Fox Nation only wanted their prisoners of war back from the Illinois. This according to the peace agreement of 1716. A decade later and they were still waiting. The French had tried to facilitate them but the Illinois were still being obstinate. So the Fox escalated their hostilities against the French. No Frenchmen was safe travelling through their country. The French were trying to expand their posts westward into Sioux territory. The Sioux had asked for a post with a few Frenchmen to live among them. However, they were allies of the Fox. After a small expedition to their country the Frenchmen decided to return to Montreal by heading south skirting Fox territory making their way to Detroit. To accomplish this they had to travel through the Fox’s allies country. They were captured by the Mascoutins and Kickapoo and held prisoner. When the Fox heard of this they sent a delegation to their allies demanding they hand over the French prisoners to them. The Mascoutins and Kickapoo refused. They sent a second delegation even more arrogantly expressing their demands. Again they were refused. This so incensed the Fox that on the way home they came across a small camp with two lodges. They found a Mascoutin hunter in one and a Kickapoo in the other. They killed them both. This breached the alliance they had with the two most important of their allies. Meanwhile, The King of France after hearing of all the perceived trouble the Fox were continually causing among the other First Nations determined that a war of extermination was called for. So he issued the order. The French began by giving presents to the Sioux, Winnebago and the Iowa in order to induce them not to give refuse to the Fox should they ask for it. In the east the Iroquois had made friendly overtures to the Fox allowing them to trade with the English and could offer them asylum if they needed it. To prevent this they used the Potawatomi and the French Fort at the St. Joseph River to block them. They seemingly had the Fox penned up in their own country. Monsieur de Lignery was chosen to lead the expedition. He arrived at Michilimackinac in August of 1728 where he found waiting there about 100 Menominee warriors along with the nations of Detroit, the Lake Huron Sauteaux and the Ottawa of Michilimackinac. His army was composed of 1200 First Nations warriors and 450 Frenchmen. They immediately struck out for Green Bay. When they arrived at la Baye a few Sauk warriors joined them. The First Nations camped on one side of the river and the French on the other. The Sauk warriors brought one Fox and three Winnebago captives to de Lignery. After questioning them he turned them over his allies on the other side of the river. They put them to death the next day. They continued their march toward Fox country but lost some time and most of their canoes due to the great rapids of the Fox River. Finally they came upon a Winnebago village . But the Winnebago had abandoned it two or three days before de Lignery arrived. They continued their march arriving in Fox country that evening. Because it was too late to engage them they camped between two Fox villages. The next morning de Lignery sent out scouts who returned with a Fox woman and girl who told them their countrymen had left the village in great haste moving upstream about three days earlier. Another scouting party returned from the other Fox village with an old man they had captured. He told them the same thing the two female captives had told them. All but 600 of the First Nation force moved on to the third village. It was empty also so de Lignery returned to the middle village where they came across an old woman who had been a captive of the Fox. Ouilemek, the great Potawatomi war chief, questioned her and she told him that the Fox had left four days earlier. She said that they had 100 canoes in which they placed all of their elders, women and children and the warriors had followed them along the banks on foot in order to protect them. A council was called and de Lignery asked his First Nation allies to follow the Fox. They asked for two hundred Frenchmen but they were in such poor condition a forced march would have killed them. The expedition was a hard one and most had lost their shoes and had no food except some corn they had scavenged from the Fox’s fields. At this point de Lignery decided to halt the expedition. He ordered four villages burned as well as all the lodges scatter round about the countryside. They harvested the Fox’s crops, which were abundant, leaving the Fox with no food. Then they began the retreat to Michilimackinac. So went de Lignery’s war on the Fox, which he considered it a success because he estimated that half the population of those villages would starve to death over the winter! NEXT WEEK: The Iroquois do it right! Greetings to all! So nice to get back to my posts and I’m glad they’re appreciated. After the 1716 peace agreement with the French the Fox followed through by sending three of their chiefs to Montreal. They were about to send more when smallpox broke out in the city. Two of the three chiefs died including their great war chief Pemousa. Needless to say they were not happy about this turn of events so they held back the other hostages. Meanwhile war raged on between the Illinois and the Mascoutins along with their allies the Kickapoo. But the Fox who were traditional allies with the Mascoutins and the Kickapoo kept out of it. That is until Minchilay, a nephew of Ouashala, who was a major Fox chief, undertook an ill-fated attack on the Illinois. He was captured and most cruelly burned to death. Minchilay’s death so angered his uncle that he set off in a rage to avenge his nephew’s death. His brother, Navangounik was with him as they led a large war party of young warriors. They put the Illinois village responsible for Minchilay’s death under siege. The village began to run out of food and water so they asked for a parlay. The young men wanted nothing to do with a parlay for peace but only wanted to burn the village leaving none alive. But Ouashala and Navangounik were more level-headed and insisted on listening to the Illinois chiefs. Three of them came out of their village with three prisoners of their wars with the Fox allies offering them for their lives. The young men were still intent on destroying the village but their two chiefs prevailed and a peace was reached. The two Fox chiefs along with the son of another chief named Elecavas went to a council held at Monsieur de Montigny’s house. Elecavas was too sick to travel so he sent his son to speak for him. There was also a French missionary in attendance. They went there to explain their actions against the Illinois. The two chiefs who took action against the Illinois village explained themselves by saying that although it was wrong of Minchilay to attack a nation that they were not at war with it was also wrong of them to so cruelly burn him to death. This was an act that needed to be avenged. But they pulled back from totally destroying that village and followed de Louvigny’s example toward them in 1716 by letting they live. They also promised to return to the terms of the peace and keep them if the French would forgive them and not call all their allies to make war on them. Elecavas brought his father’s words which were less conciliatory than Ouashala’s. He said he wanted de Montigny to say to the Governor Vaudreuil that it had been two years since they had seen any trade goods and it appeared that the Governor still harbored the desire to totally destroy the Fox nation. They still waited for French goods but when they absolutely need to they would trade with the English. If Vaudreuil still wanted to annihilate them they could find them still at their fort and they would all die together. De Montigny ignored Elecavas’ words but answered Ouashala. He generally agreed with him and reiterated that if the Fox returned to the path of peace he would not bring down all of their First Nation allies upon them. The last thing the French wanted was another war with the Fox and their allies. They were continually trying to settle disputes among the far nations so they could increase their profits from the fur industry. The Fox tried their best to keep the peace even after being attacked by the Saulteux Chippewa from Michigan’s upper peninsula. Four times they were attacked and four times they gave no response. But after being assaulted by the Ottawa from Saginaw they went on the offence. This escalated to a full-blown war with the Saulteux. This only hindered the French’s plans to cultivate trade with the Sioux because to get to their country they had to go through Fox country and the Fox, who were friends with the Sioux, were now killing any Frenchmen they came across. Vaudreuil called upon Sieur de Lignery, commandant at Michilimackinac, to effect a peace between them. De Lignery arrived at Green Bay in 1724 and managed to quell all the warring nations except the Fox and the Illinois and their allies. Apparently the Illinois did not live up to the last peace agreement in 1716 because they still had not returned their prisoners. To make maters worse the English stepped up their intrigues with all the nations of the upper lakes. Over the next three years they secretly sent collars, which were peace offerings, to them all encouraging the enemies of the French become their allies and trading partners. At the same time they encouraged the allies of the French to destroy all the French posts among them and to slaughter all the Frenchmen in their territories. The French’s response was to plan a war of extermination on the Fox! 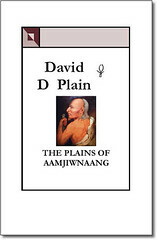 You are currently browsing the Books by David D Plain Blog blog archives for May, 2010.